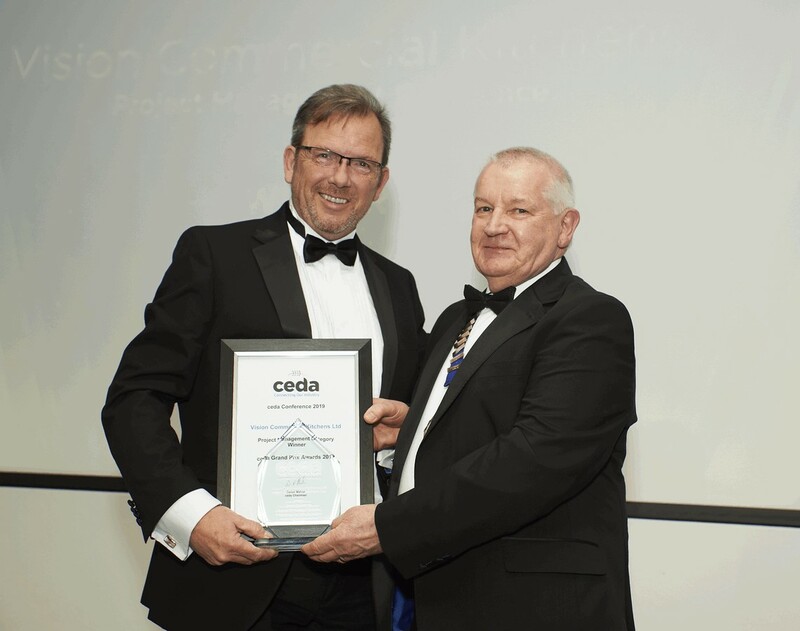 We are delighted to announce the winners of this year’s ceda Grand Prix Awards. 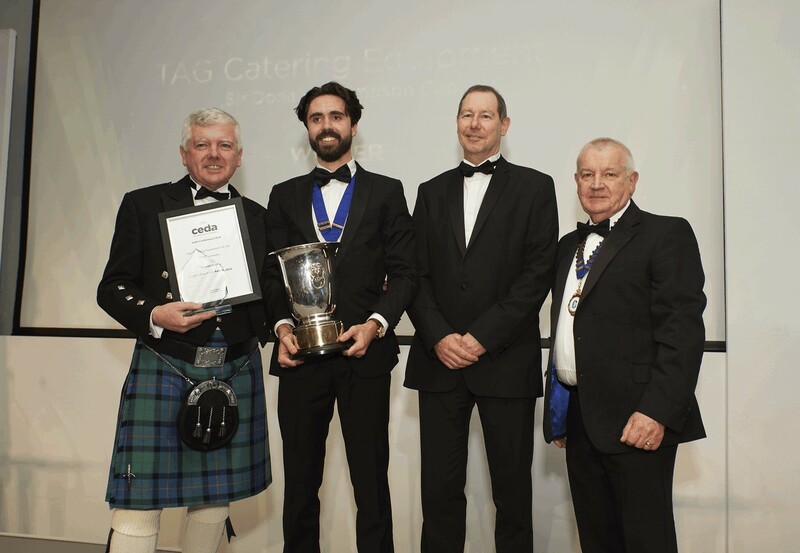 These awards recognise excellence in foodservice and hospitality projects for all types of establishments. 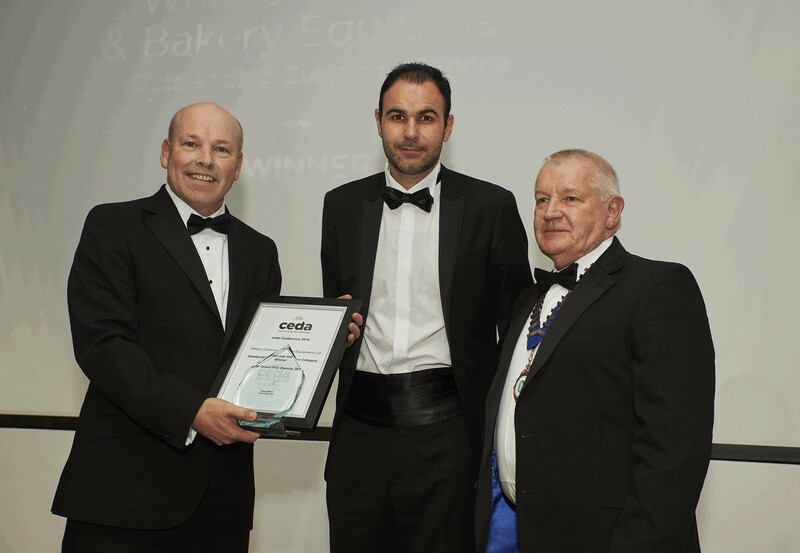 The prize for winning distributors is recognition that they have performed to the highest standards of excellence and professionalism from their peers and the most important manufacturers, importers and suppliers to the UK catering industry. Competition amongst members is understandably fierce to achieve this highest of accolades. 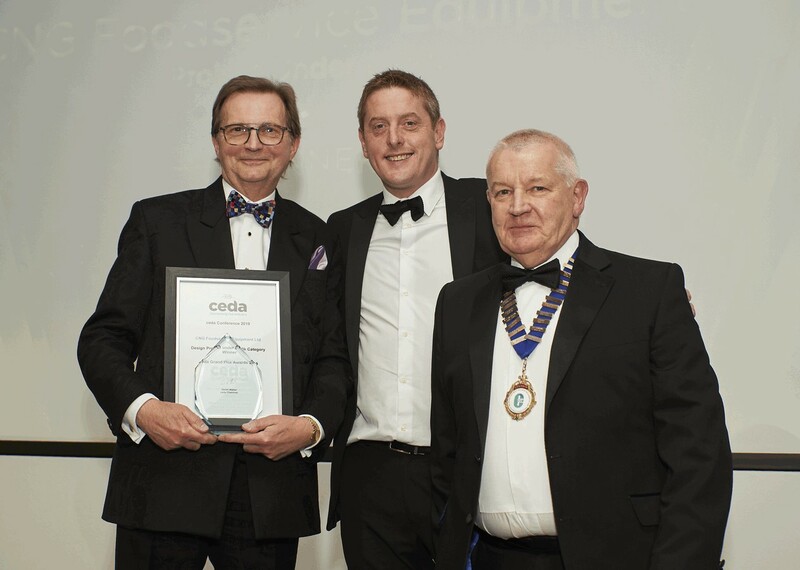 The deserving winners were unveiled at Friday night’s (5th April) Gala Dinner which concluded the two-day ceda Conference 2019 at Heythrop Park, Oxfordshire. 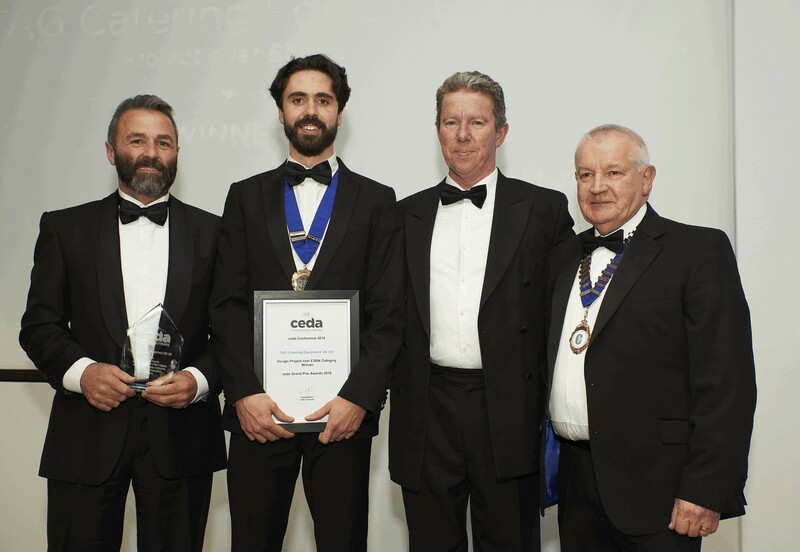 Judged by experienced industry vetrans Ron Neville and John Savage, five categories were up for grabs in the Grand Prix Awards; Design Project Under 100k, Design Project 100k to 300k, Design Project over 300k, Project Management Excellence and Outstanding Customer Service. Habib and Masoud Farahi, owners of Luciano’s, have been in business in their Italian restaurant in Sunderland city centre since the early 1990’s and were looking to expand their business to incorporate ‘The Oaklands’ pub in Shotton, County Durham. The pub had previously been a brewery tenancy and had not been refurbished in quite some time and no longer provided a food offer. Realising the potential of the affluent surrounding area the two of them saw a market opportunity for a quality eating establishment. This is the first time that CNG have worked with Habib and Masoud. They decided to work with us based on our personal service, attention to detail and willingness to listen to and work with them throughout all the changes that were being made to the building, and helping them achieve the scheme they were so much wanting. CHR were initially contacted by chef Simon Martin. Simon’s words were, “I’ve looked at everything the market has to offer, and I know CHR are the onlyproject company in the UK capable of delivering my vision at Mana”. “From brief to desihn, build, delivery and installation, CHR realised and undertook the project so seriously, I felt like I was the only person they were working with. Thak you for constantly being positive when I wasn’t. “We want Mana to feel like a home-from-home for our guests, the kitchen delivered to the agreed programme by CHR plays a huge part in this feeling. “If I did it all again I would work with CHR and hope to do so in the future as Mana evolves”. Head Chef, Simon Martin. The hotel is a well-known 5 star hotel in Park Lane, London, with a worldwide reputation for luxury and fine dining. The existing kitchen was installed in 1988 and had lasted over 30 years. The client now wanted the most technological kitchen again providing longevity, reliability and flexibility; ‘a kitchen of the future’. “TAG is a great company to work with, their dedication to detail and planning was of the highest standard. “Their invaluable experience and guidance was more than anyone could have wished for, which is clearly is showing in the finished project”. Henri Brosi, Executive Head Chef. Silversands is a new luxury resort situated on the Caribbean island of Grenada. It is the first off-shore project that Vision have worked on. Vision’s involvement at Silversands consisted of a large scope of workers. Vision coordinated the supply of equipment, deliveries of equipment, installation and handover of the foodservice and beverage facilities. Due to the location and distance from ourselves to the site, we worked closely wit the client throughout the process. Whilst installation took place we also covered the snags on an on-going basis so that it was fully completed at handover snag-free. When the collapse of Carillon happened in January/February 2018, Oxfordshire County Council were left with numerous unfinished projects across the county. Many projects at schools, public sector buildings, day centres, council buildings, and fire stations were left with incomplete catering installations. Whitco rose to the occasion in style. “I would fully recommend Whitco to carry out this type of installation, excellent service and communication”. 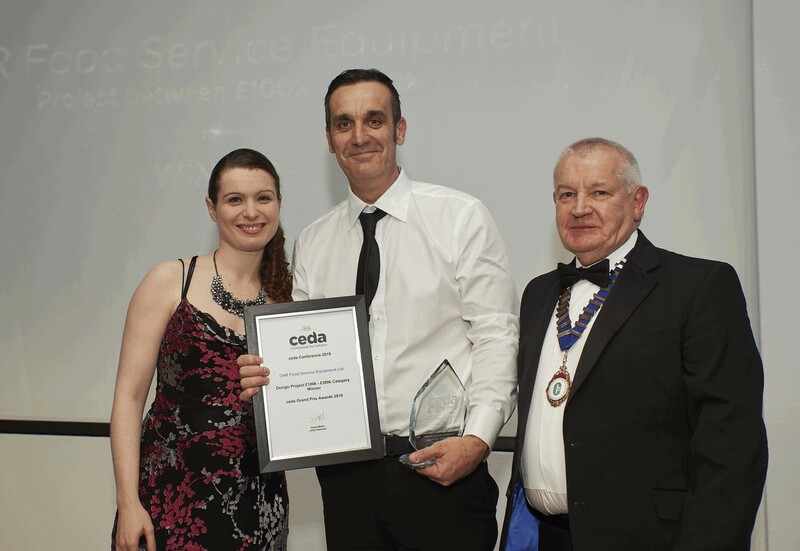 Chris Drinkwater, Area Manager. Arguably, the most sought-after award of the evening is the Sir Donald Thompson Cup, formally the Overall Winner, which is chosen from the winners of the five Grand Prix categories.